While most people don’t consider wrestlers to be superheroes, they do have to work out like them to get ripped and huge. 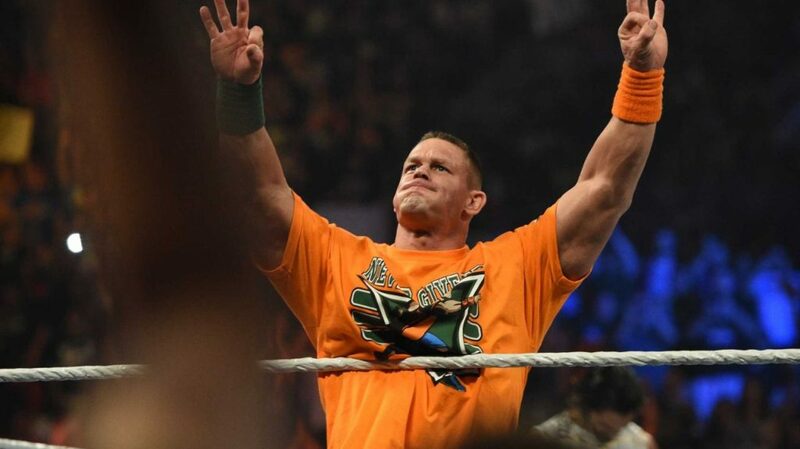 John Cena has been wrestling on WWE Raw since 2004 and is still going strong. Along with such, Cena has been in a few movies that required his unique physical prowess, such as Blockers, the newest film to include Cena. The comedic aspect of his large frame and musculature as a father trying to protect his daughter on prom night makes it something you can’t miss. 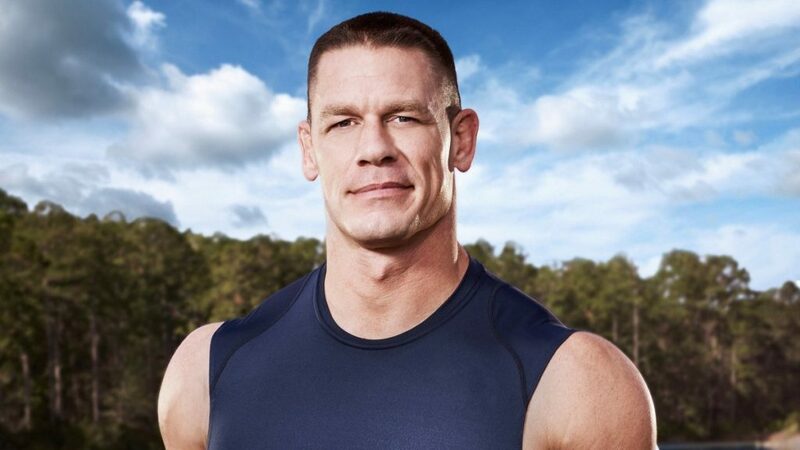 Cena is also part of the cast of many upcoming movies, such as Bumblebee (Agent Burns), The Voyage of Doctor Dolittle (voice of Yoshi), and Project X (Chris Van Horne). His plate is full, but that doesn’t mean he’s given up wrestling. He’s set to return to the ring on September 1 in Shanghai, China and has five upcoming matches on which to focus. Okay, you probably aren’t looking to bulk up and start your wrestling career right now. However, that doesn’t mean you can’t perform the same workout as your favorite wrestler. Doing John Cena’s workout can help you build strength and upper body muscle, allowing you to look fitter and healthier regardless of your career or lifestyle. John Cena prefers to do a 12-week program and workout five times a week for about 60-90 minutes at a time. It’s grueling, but it helps build muscle and keeps him pumped for matches and filming all those movies. If you don’t already have one, you may want to get a gym membership because most of the exercises use barbells, dumbbells, machines, and cables. However, if you’re lucky enough to have a home gym that’s tricked out to the max, you can do the workout at home. John Cena’s workout routine involves very little cardio because the primary goal is to build muscles quickly and focus on strength. He has to be stronger than his opponents, or he’s likely to lose the match! Because he works out five days a week, he focuses on one muscle group at a time, including the legs and calves, arms, chest, back, and shoulders. He also performs 60 crunches for the abs after each workout. Seated Calf Raise – You’ll need a machine for this exercise. Place the balls of your feet on the thin platform while the heels are off the platform. Press the knees/thighs into the cushions while raising the heels and flexing the lower legs. Return to the starting position and continue for a total of 10 sets with 10 to 20 reps each. Machine Hack Squat – Before starting, load the machine with the appropriate weight and sit comfortably on the inclined pads with the shoulders and back flat on the pad. Place your feet on the lower pad shoulder-width apart. Extend your legs fully, and then slowly lower your body by bending the knees so that your thighs are about 90 degrees. Drive into the platform to extend the legs and continue for three sets of 15 reps each. Pec Dec – The pectoral muscles are an essential part of the chest. The Pec Dec exercise also works the shoulders. To perform the move, make sure the seat height of the machine is appropriate, allowing the arm pads to be level with the chest while sitting. Select the appropriate weight and grasp the handles or place the forearms on the pads to make it a little more challenging. While keeping your body flexed, bring the handles/forearm pads together but don’t let them touch. Squeeze your chest muscles and count to three, if possible, and then slowly return to the starting position. Repeat three to four sets with 15 repetitions each. Lat Pull Down – This exercise primarily works the lats, but it also works the shoulders, upper back, abs, and biceps. Make sure a wide grip handle is on the machine and sit on the platform. Grab the handle so that the palms face downward with the hands wider than shoulder-width apart. Pull down using a controlled motion, ensuring that the elbows stay close to the body. When you reach the chest or collarbone, slowly return to the starting position. Repeat this for five sets at 20 reps each. Squat Cable Curl – Using the cable machine, squat down with the feet together until your glutes barely miss the floor. Grab the bar with the palms facing toward you or up and rest the elbows on the knees. Curl the bar toward the body and squeeze the biceps. Slowly lower your arms to the starting position. Perform three sets with 12 reps each. Tricep Dips – Variations of this move can work more of the chest or triceps. Using a dip bar machine, grasp the bars with the palms facing toward you and ensure that your grip is about shoulder-width apart. Jump from the floor so that your arms take the weight. To work the triceps most, don’t lean forward. To work the shoulders more, lean slightly forward and cross the legs at the ankles. Lower the body down until the elbows are in line with the shoulders and raise yourself back up. Perform four sets of as many repetitions as needed before muscle fatigue. When John Cena eats to build muscle, he typically starts the day with breakfast. He prefers to eat many eggs (six egg whites and two eggs), as well as a serving of oatmeal. The eggs provide protein, and the oatmeal helps him stay full. He usually adds in a variety of healthy snacks throughout the day, such as protein bars, whey protein shakes with bananas, and casein protein shakes with low-fat cottage cheese. Lunch might consist of two chicken breasts, grilled or broiled with tons of healthy vegetables and a serving of brown rice while dinner includes veggies, salads, fish or pasta. He sometimes includes a fourth meal or snack with tuna and whole-wheat bread. The goal here is to eat plenty of protein (eggs, chicken, fish, tuna, and supplemental products). This diet and exercise routine is an excellent option for those who want to build muscle and look ripped, even if you aren’t going to become a wrestling champion anytime soon.